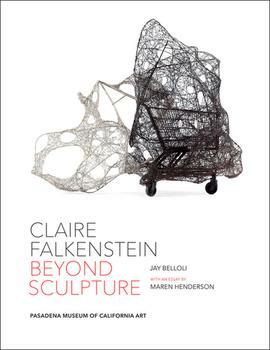 Published to accompany the retrospective Claire Falkenstein: Beyond Sculpture, on view at the Pasadena Museum of Art in California from April 17 – September 11, 2016. As the title suggests, the exhibition highlights not only the sculpture for which Claire Falkenstein (1908–1997) is best known, but also her paintings, drawings, etchings, lithographs, jewelry, glass, and watercolors, which have never been displayed together in a major museum exhibition. Fully illustrated, 11 x 8 inch, 109 page publication featuring essays by Maren Henderson and curator Jay Belloli. Softcover.